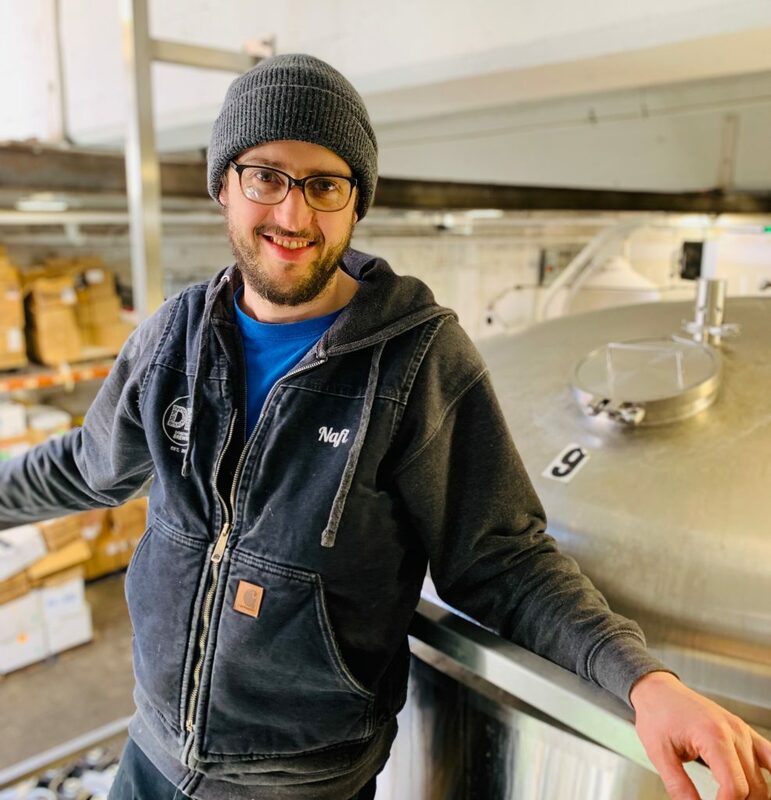 How did you get into craft beer and join the brewing industry? My background is in engineering, but after a few years in the field I felt I needed to do something different. During my search for a new career path I got into homebrewing and fell in love with the beer making process. I got to know a lot of people in the homebrewing community, and by extension, got familiarized with professional brewers. I started volunteering at breweries to try to get my foot in the door and eventually got hired for a full time position. What do you like best about the industry compared to other fields? Every day I work with a product that I really enjoy and can connect with through my sense of smell and taste. I get excited about all the new products that go through our facility and the innovative processes we implement day to day to solve problems. I love the craft brewing work culture, where people are expected to work hard and to have fun! Tell us a little bit about what you do at DBco on a day to day basis. 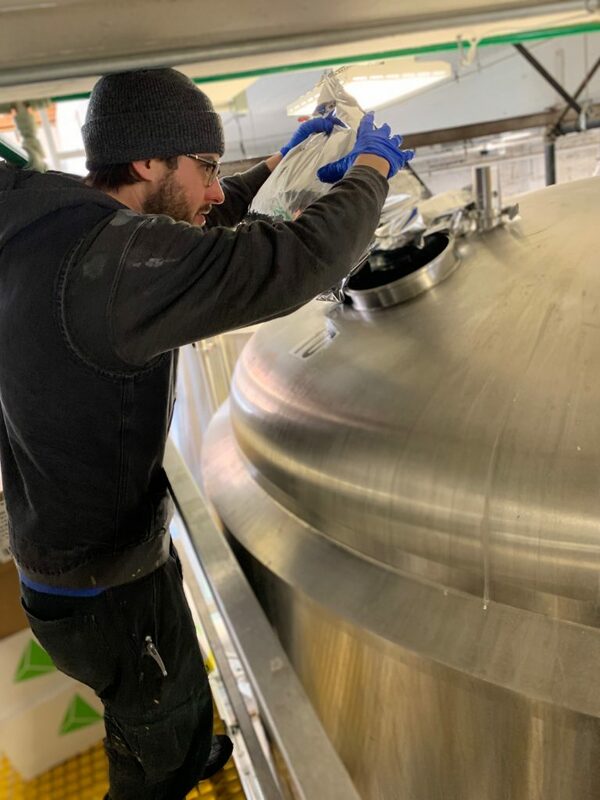 Most of what I do includes handling the big 1800 gal fermentation vessels – preparing them to receive new batches of beer and adding hops, fruit or other ingredients as necessary. I also monitor the beer fermentation to ensure the process is going well, and when it’s done, I transfer the beer over to be packaged. Lastly, a huge part of the job is making sure anything that comes in contact with the beer is absolutely sanitary. Overcoming problems with creative solutions, executing complex tasks…and then the reward of having that beer you worked so hard to make and sharing laughs with the people you made it with. Anything that is balanced, especially if it is low ABV. My go-to styles are Pilsners, New England IPAs and kettle sours. Currently it’s The Gateway Sour, a beer I designed for those who are not accustomed to tart beers but want to dabble with the style. Past beers I have really liked are Heavy Metal Grampa (A Dunkelweizen), Born to Be Mild and our annual Festbier.